We stock and cut to size a variety of distressed effect mirror glass, known as antique mirror – our antique mirror isn’t old – it just looks like old, distressed silvered mirror. We also hand distress specially prepared silver mirror to provide a bespoke one-off appearance. Our mirror glass comes in plain and tinted – in bronze, grey, green, peach, gold and blue. Also in satin mirror finish. We stock 4mm and 6mm thickness. 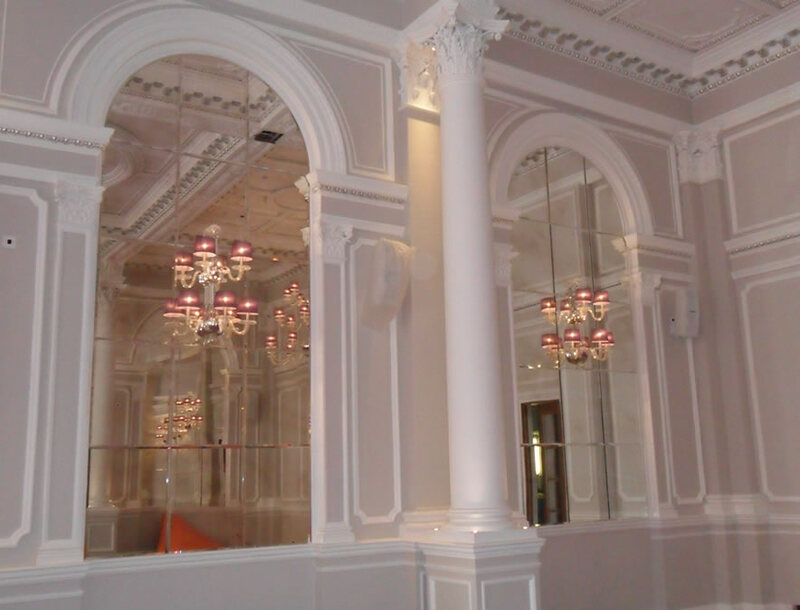 As well as supplying ‘self-coloured’ mirror cut to size we can also decorate (usually painting or sandblasting) the front surface or remove or distress the silver backing for painting etc, to make bespoke mirror effects and designs.